Downtown Russellville will be the site for this years Chambers Bank Downtown Expo. The Chambers Bank Downtown Expo is in the heart of downtown and in the same area of the start/finish lines for the kids mile, 5k, 10k and the half marathon races! 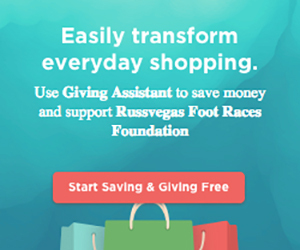 The RussVegas Half Marathon features a two-day expo starting on Friday evening at 5pm to and ending Saturday at 12pm. The Chambers Bank Downtown Expo will feature local vendors from the area, as well as, vendors from around the state. The National Guard will be present as well, with equipment and more. We encourage you to bring your family out for a fun family friendly event. The Chambers Bank Downtown Expo features many fun things for all ages. You can learn and catch up on the latest in athletic apparel or bring your kids for snow cones, face painting and the bump-in-jumps. We will even have a kids corral area! It is an electrifying atmosphere with a live band, racers of all ages racing, and finally good food, including food trucks! Make a night out of it by supporting Arkansas Children’s Hospital, Russellville Downtown, and cheer on those runners.